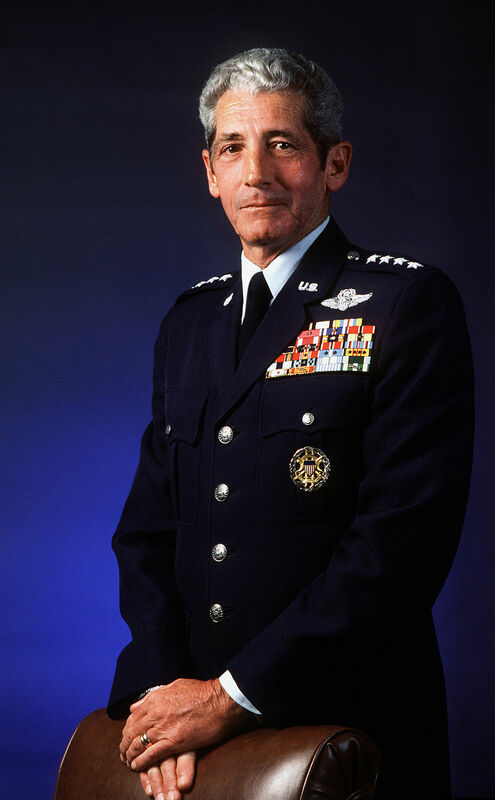 Robert Whitman Bazley was a retired United States Air Force four-star general who served as Commander in Chief, Pacific Air Forces (CINCPACAF), from 1984 to 1986. Bazley was born in Pittsburgh, Pennsylvania in 1925. He graduated from Brentwood High School and received a bachelor of science degree in business administration from the University of Pittsburgh in 1949. He is also a 1968 graduate of the Industrial College of the Armed Forces, Fort Lesley J. McNair, Washington, D.C.
Bazley enlisted in September 1943 and entered active duty through the aviation cadet program in January 1944. He received his navigator wings and was commissioned a second lieutenant in the U.S. Army Air Forces in March 1945. 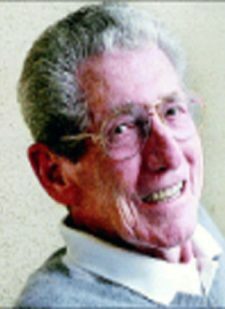 The end of World War II coincided with his completion of B-29 combat crew training and Bazley was released from active duty in February 1946. He then entered the University of Pittsburgh. In November 1951 General Bazley was recalled to active duty and served as an RB-26 navigator with the 12th Tactical Reconnaissance Squadron at Kimpo Air Base, South Korea. During the Korean War, he flew 50 combat sorties. Bazley entered pilot training in August 1953 and in August 1954 received his wings. Following F-84 fighter weapons training, he transferred to Royal Air Force Station Wethersfield, England, where he served as a pilot, flight commander, and assistant operations officer with the 77th Tactical Fighter Squadron. From May 1958 to June 1960, Bazley was assigned to the 3502nd U.S. Air Force Recruiting Group with duty in Pittsburgh. He then transferred to the United States Air Force Academy. Upon his return to England in April 1965, he served at Royal Air Force Station Lakenheath as operations officer for the 492nd Tactical Fighter Squadron and later as chief, Operations Division, 48th Tactical Fighter Wing. He returned to the United States in 1967 and completed the Industrial College of the Armed Forces. In August 1968 he commanded the 531st Tactical Fighter Squadron, 3rd Tactical Fighter Wing, at Bien Hoa Air Base, Republic of Vietnam. He flew 257 combat missions in F-100’s. From September 1969 to June 1970, Bazley served in the Directorate of Operations, Headquarters U.S. Air Force, Washington, D.C. He then joined the Directorate of Operations in the Organization of the Joint Chiefs of Staff. 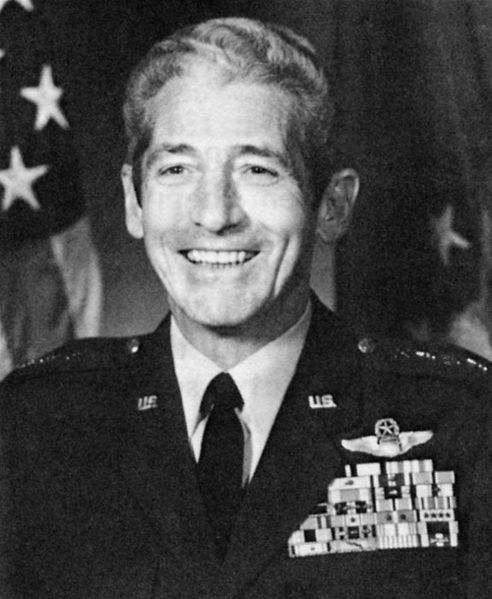 Bazley served as commander of Randolph Air Force Base, Texas, from June 1972 to November 1972. He then moved to Laredo Air Force Base, Texas, and assumed command of the 38th Flying Training Wing. From October 1973 to August 1975, he commanded the 323rd Flying Training Wing at Mather Air Force Base, California. He was then assigned as inspector general for Headquarters U.S. Air Forces in Europe at Ramstein Air Base, Germany. He became the command’s assistant for readiness in June 1976. He took command of the Air Force Inspection and Safety Center at Norton Air Force Base, California, in May 1978. From July 1979 to June 1980, he commanded Sheppard Technical Training Center, Sheppard Air Force Base, Texas. He then returned to England as commander of 3rd Air Force at Royal Air Force Station Mildenhall. Bazley returned to Ramstein Air Base in July 1981 as vice commander in chief of U.S. Air Forces in Europe. Two years later he assumed duties as Inspector General of the Air Force at Air Force Headquarters. He was responsible to the secretary of the Air Force and the chief of staff for U.S. Air Force inspection, safety, security, investigative, counterterrorism, counterintelligence and complaint programs. He assumed command of Pacific Air Forces at Hickam Air Force Base, Hawaii in September 1984, and retired from the Air Force on January 1, 1987. Bazley was a command pilot and navigator with more than 4,500 flying hours. 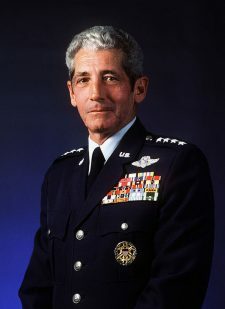 His military decorations and awards include the Air Force Distinguished Service Medal, Defense Superior Service Medal, Legion of Merit with oak leaf cluster, Distinguished Flying Cross with oak leaf cluster, Bronze Star, Meritorious Service Medal, Air Medal with 15 oak leaf clusters and Air Force Commendation Medal with oak leaf cluster. Bazley was inducted into the Order of the Sword by the noncommissioned officers of United States Air Forces in Europe in May 1983 when he served as vice commander of that organization. This award is given for conspicuous and significant contributions to the welfare and prestige of the noncommissioned officers’ corps. He died at his home in Chapel Hill, North Carolina in December 2012. General Bazley was buried in Arlington National Cemetery next to his wife, Dolores. 5/1958- 6/1960 3502nd U.S. Air Force Recruiting Group, Pittsburgh. 5/1960-4/1965 United States Air Force Academy. 1967-8/1968 Industrial College of the Armed Forces. Born December 5, 1925, Robert passed away quietly at his home in Chapel Hill, North Carolina on December 16, 2012, in the loving company of his wife, Sandra and her son, Jeff. Bob enlisted in the U.S. Air Corps in September of 1943 following high school graduation in Brentwood, Pennsylvania. Due to age requirements, he was unable to serve on active duty until after his 18th birthday, whereupon he reported to Ft. Mead, Maryland in January of 1944. Bob had the honor and privilege of serving as a commander at every organizational level throughout his career. Following just over two years of active duty, he returned to the University of Pittsburgh and to his high school sweetheart, Delores Belin. They married on September 6, 1947, had two daughters, Sherry and Barbara, and two sons, William and Thomas. After 43 years and 35 moves while in the USAF, Bob retired in 1987 as a four-star general and Commander-in-Chief of the Pacific Air Force. His wife of 61 years, Delores, passed away in 2002. In 2003, he married Sandra Vander Clute. He lived in Chapel Hill for 18 years, where he was involved in service to his community and enjoyed many wonderful friends. Bob survived WWII, Korea, and Viet Nam, including 259 combat sorties without personal injury. He always considered himself to be one of mankind’s luckiest citizens thanks to his marriage to two wonderful women and having survived three wars. He is survived by his 2 daughters, eight grandchildren, seven great-grandchildren, 2nd wife, Sandra and her 2 sons. General Robert W. Bazley is buried in Arlington Cemetery.